Around here, we are fairly obsessed with figuring out how to make our lives matter, how to surrender our plans in favor of God’s and living those plans in practical ways. Mercy Ships, for obvious reasons, is intent on that process too. Today, one of our leaders, Dr. Andrew Clark, showed us this clip of Pastor/Author/Jesus Freak Francis Chan, explaining, in less than four minutes, why we feel destined for purpose, but wind up feverish, selfish, little clods. In my opinion, Francis Chan has a legal right to be angry at God, but instead he devoted his life to falling deeper in love with him and helping people like you and me do the same. 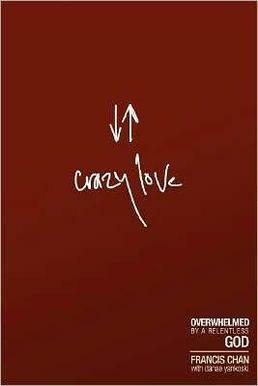 His terrific bestselling book Crazy Love: Overwhelmed by a Relentless God saw an estimated $2 million in royalties, and Chan gave most of it away. This kind of life is possible, but it’s risky and requires the omniscience we don’t have. We can live ok lives without God, (I think) but if we can live like holy daredevils with him, why wouldn’t we? The master was furious. ‘That’s a terrible way to live! It’s criminal to live cautiously like that! If you knew I was after the best, why did you do less than the least? … And get rid of this “play-it-safe” who won’t go out on a limb. Throw him out into utter darkness. Matthew 25:26,30 The Message. Yah, Jesus said that. So perhaps we should get busy. If you’re stuck on the first part because you don’t know who you are, don’t worry. If you’re a follower of Jesus, you don’t have to figure it out because he did it for you. It’s amazing how a singular focus on who Jesus says you are, answers the other two questions. So, what talent have you buried? What’s the smallest first step you can take to dig it up? Great post, thoughtful. I need to determine what to dig up. What I thought were talents, were not. So I buried them in others, watered, and watched God increase them. Those He gave me were buried too…I better get the shovel out, lol. If you need some help, I’ve got a shovel too. Thanks for being here Keith!